The economic disaster in the areas of Ukraine controlled by Russian-backed insurgents will cause popular uprisings against them, economist Andriy Novak has said on Ukrainian television’s 112 Ukraine channel. "The separatists have already faced popular revolts and uprisings, as the population of that region has no money to buy elementary things. Nobody likes it when people come to the shops and take everything for free," Novak said. The expert said he was sure that in the near future this situation would lead to the internal resistance, and indeed this has already started in some places. 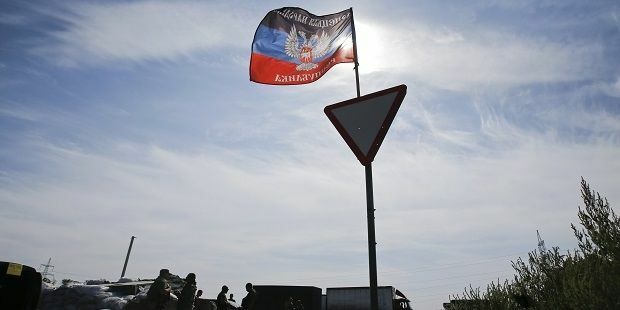 "If the separatists of the Donetsk People’s Republic and Luhansk People’s Republic do not establish an elementary economic life soon, it will help the Ukrainian government and our troops deal with the insurgents and the Russian troops," he said. As reported yesterday, on November 17, a spontaneous rally of citizens dissatisfied with the rule of the insurgents started in Sverdlovsk. Almost 2,000 residents took to the streets of the town with demands for salaries and social benefits.